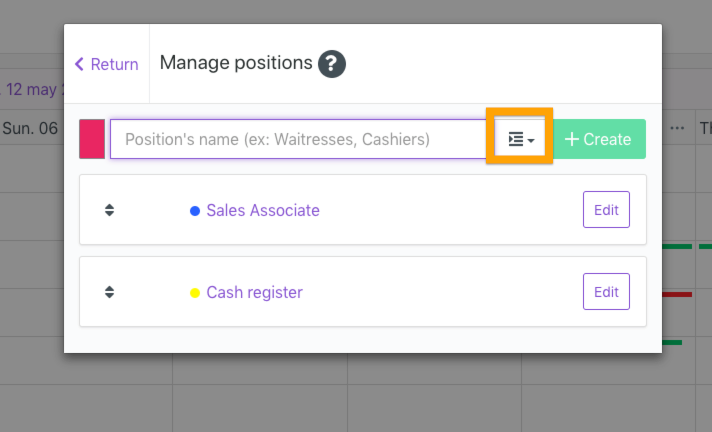 Important note: Only administrators and managers may edit positions. 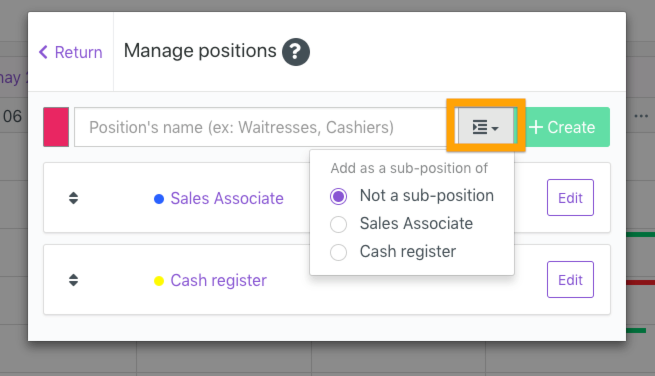 Note that while a Position is assigned per employee, a Sub-position is assigned de facto to all employees in the Position it is part of. 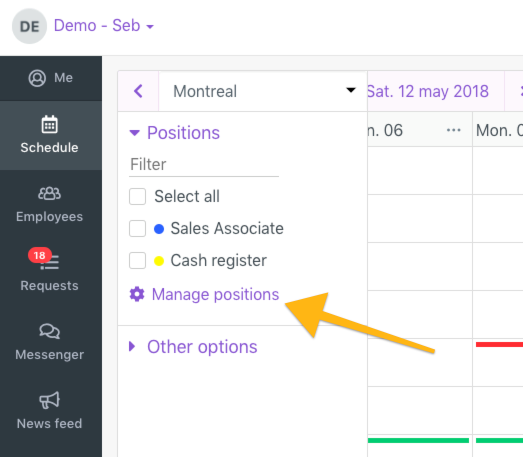 To create or edit positions and sub-positions, click the “Manage positions” button under "Positions" on the left side of the agenda. (see orange arrow). If you can't see that filter bar, click on the "Purple funnel" top left of the agenda. 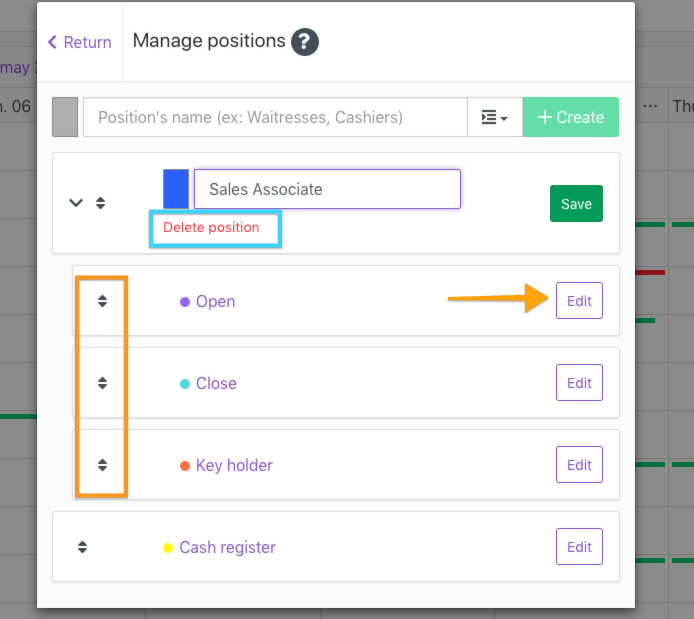 When creating a shift you will be able to select the sub-position. 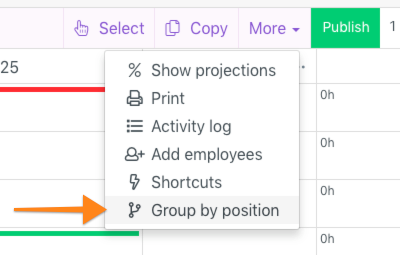 PS: You can group employees in the scheduler by position in the "More"